Ability to recover end-of-life vehicles from car dealers, insurers, garages, vehicle pounds, local authorities and individuals. To provide traceability by document flow management up to the administrative destruction of vehicles. Recycling more than 95% of the mass of vehicles increases the need for smart recycling and for working on the building of a responsible, high quality, efficient industry for the raw materials sector. 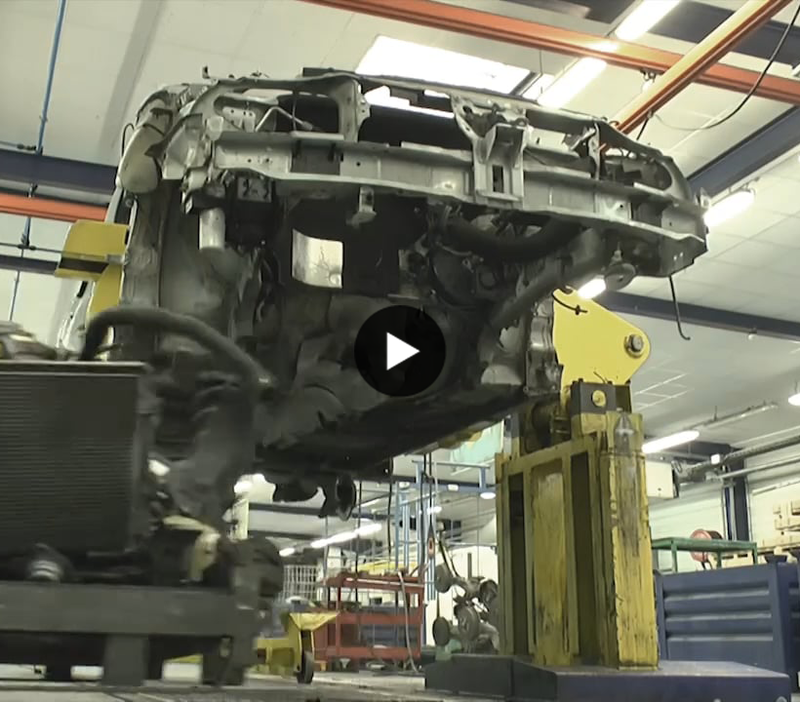 To ensure that the work of vehicle dismantling and the economic model surrounding it are understood, INDRA has 2 sites of its own in which it dismantles 10,000 vehicles a year. A traditional site which makes it possible to test the dismantling processes for low capacity sites and to be closer to the economic model for authorised treatment facilities. An industrial site, which enables research and development to be provided for the tools (ergonomics, safety and productivity), for the materials sectors to ensure waste recovery. The major aim is to achieve a 95% rate of recyclability for the mass of the vehicle, providing economic balance. INDRA has developed 4 skills out of these 4 businesses. Control of logistic, physical and documentary flows enabling total traceability. Development of specific equipment for dismantling and pollution control. Support and organisation of sector players in the commercialisation of re-usable spare parts and materials. Optimisation and organisation of an industrial fabric enabling the recycling of secondary raw materials. INDRA is associated with the approaches of French and European ministries to the development of the regulations governing the ELV sector. INDRA supports the setting up of a regulatory framework.